Dahl is an important part of Indian cuisine and often eaten with rice and vegetables. 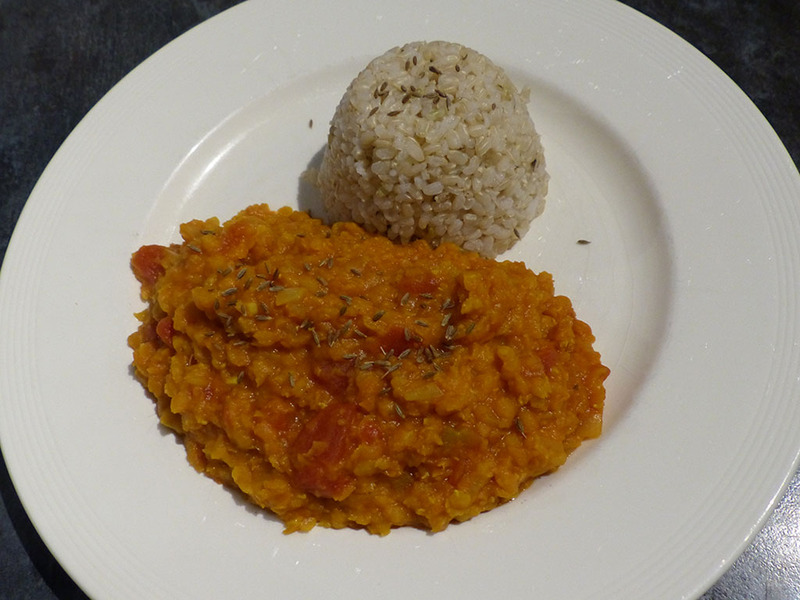 It’s a very healthy way of getting enough protein in your diet and red lentils also contain lots of fibre and vitamin B, essential for a proper nervous system. Place all the ingredients, (apart from the oil, 1 clove of garlic, 1 tsp cumin) in a pan and cook for around 30 minutes or until the red lentils are soft. Fry the clove of garlic with the cumin in the oil and add to the dahl. Serve with rice and cauliflower which should be available towards the end of March.